Kitawancool Native Village and Totems. 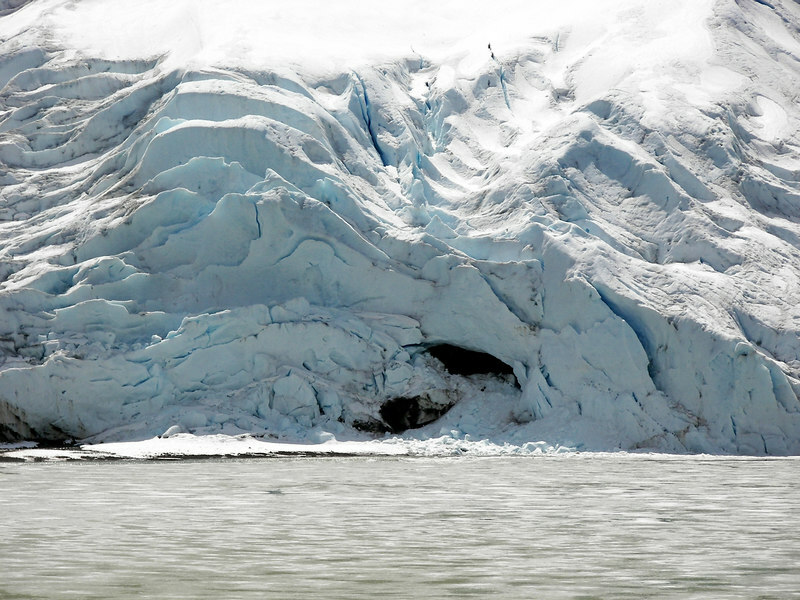 Bear Glacier. Note bright blue stripes showing through the top layer of snow.